The shortlist for the 2012 Association of Professional Staffing Companies (APSCo) Awards for Excellence, sponsored by RBS and Giant has been unveiled, with the winners to be announced at a lunch on 17th October 2012. 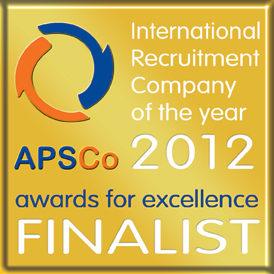 These coveted annual awards recognise and award achievement & excellence within the recruitment industry. Congrats to all of us and let’s see if we take this one!